I consider salad a free dish. I mean, you can put all kinds of vegetables you like, you can add some fruits to have an exotic salad and you can even put any kind of meat, poultry or fish and have a complete meal. As for the dressing, use your imagination and your “taste” to create all kinds of dressings..
Today I made tuna salad with pasta, which reminds me of the good old times when me and my friends used to play scrabble at night; we would decide to make a salad instead of having a heavy dinner while taking a break from the game. This way, its easier to prepare for the host, and less calories for us at dinner time. 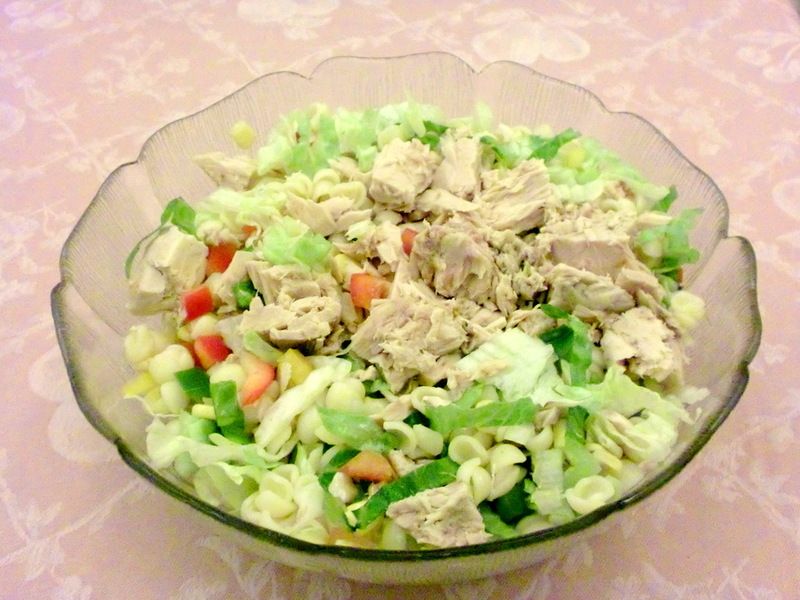 This tuna salad is one of my favourites, because you can prepare it within 20 minutes maximum.